An investigator for the Cook County medical examiner’s office says one of the three police officers on trial for falsifying reports in the killing of Laquan McDonald called him to say the teenager lunged at a fellow Chicago officer before being shot. Video of shooting belies that. Earl Briggs testified Tuesday that then-Detective David March called on the October 2014 night McDonald was shot by Jason Van Dyke with details about what happened. Briggs acknowledged the report he drew up that night reflected what March told him. He said he read his report to March and asked him if it was accurate. Briggs said March confirmed he had the details right. On cross-examination, March’s attorney, James McKay, hinted it may not have been March who called the medical examiner’s office. Briggs said he doesn’t remember ever meeting March, conceding he wouldn’t have recognized his voice. 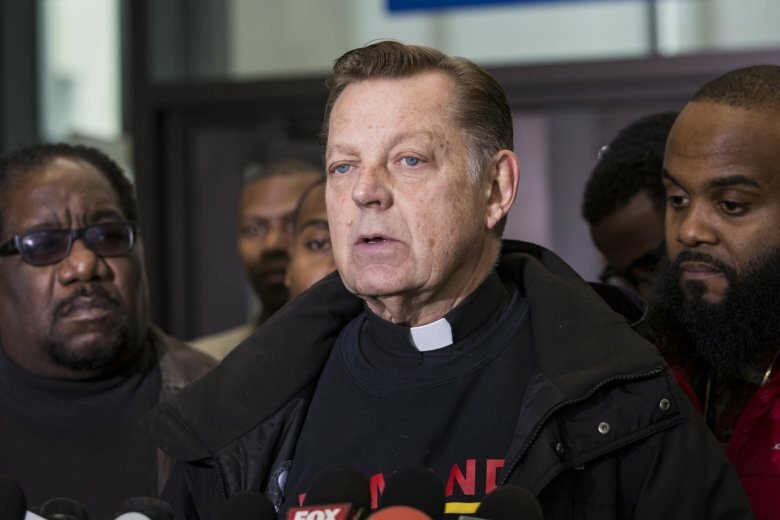 The defense attorney for a former Chicago police detective says his client acted properly after a white officer fatally shot black teenager Laquan McDonald. The trial of ex-Detective David March, along with one current and another former officer, began Tuesday on charges that they falsified police reports to protect Officer Jason Van Dyke, who shot McDonald 16 times in October 2014. Attorney James McKay said in opening statements that an officer who’s expected to testify that March directed her to lie in her report is simply trying to save her own job. McKay argues March acted to preserve the dashcam video that was instrumental in a jury finding Van Dyke guilty last month of second-degree murder and aggravated battery. He says March worked as “any good detective would” by gathering information and conducting interviews. A prosecutor says three Chicago police officers violated public trust by trying to cover up what happened when a white officer fatally shot black teenager Laquan McDonald. Attorneys are presenting opening statements Tuesday in the trial of David March, Joseph Walsh and Thomas Gaffney on charges of felony conspiracy, misconduct and obstruction of justice. They are accused of falsifying reports to protect Officer Jason Van Dyke, who shot McDonald 16 times in October 2014. A judge, not a jury, will decide the verdict. The trial will feature the dashcam video that was instrumental Van Dyke’s conviction last month on second-degree murder and aggravated battery charges. Special prosecutor Patricia Brown Holmes argues each defendant knowingly filed false police reports. Defense attorneys maintain the indictment is based on politics. With the video, prosecutors plan to show that the 17-year-old McDonald wasn’t trying to attack Van Dyke when he was shot and wasn’t as threatening or aggressive as officers portrayed him in their reports.